More than 20,000 people have signed up to Swim England’s free Just Swim membership. And to help celebrate the milestone, they have all been entered into an exclusive competition with more than £1,000 worth of incredible swimming prizes up for grabs. 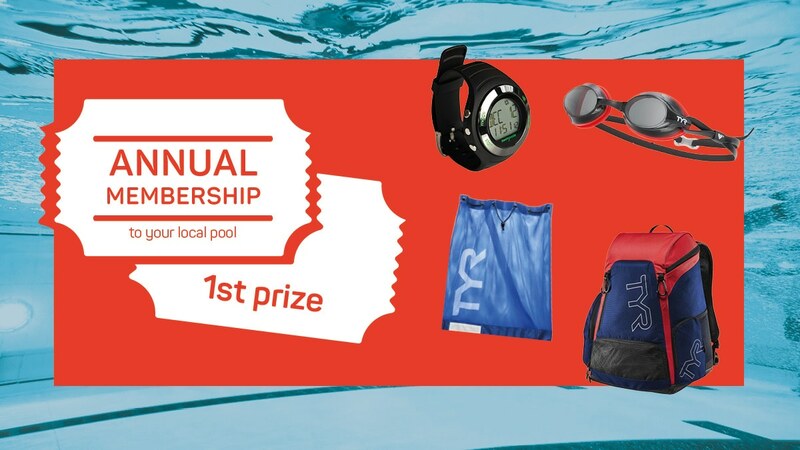 A swim-only membership at your local pool, worth up to £600, is the top prize in the draw, with six Swimovate PoolMateLive Watches, worth £120 each, three £75 TYR kit bundles, featuring the Alliance 30L Backpack, Mesh Equipment Bag and Velocity Goggles, and four pairs of TYR Velocity goggles also up for grabs. Josh Hardy, head of commercial development for Swim England, said: “It’s great to see so many people enjoying the benefits of Just Swim membership. “We’ve had a brilliant reaction to the competition but there is still time to sign up for a Just Swim membership to ensure your name is in the hat. “And you’ll also get to enjoy a wide-range of benefits that are exclusive to Just Swim members, including kit discounts, downloadable training plans, technique videos from our experts plus tips and advice. Around three-quarters of Just Swim members swim weekly, with the more than half signing up to access the exclusive member-only content such as tips and advice. Swim England Club members – with a category one, two or three membership – are also included in the January prize draw if they have an online membership account on swimming.org. If they haven’t, simply activate the online account to be included in the competition.